George "Knia" Singh, who describes himself as a Toronto-born African-Canadian, said he's been carded by police multiple times and wants an end to the practice which involves routinely and randomly stopping people in the streets to obtain personal information. 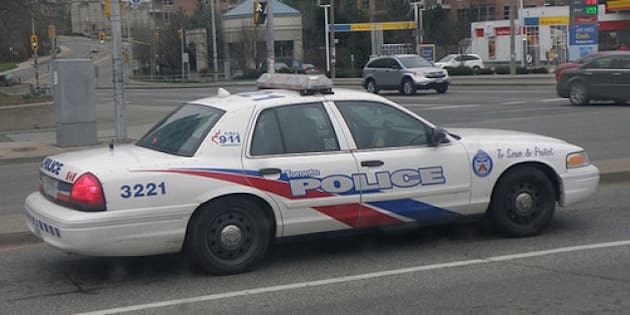 TORONTO - A constitutional challenge against the controversial police practice of "carding" was launched Wednesday by a Toronto man, who alleged the information-gathering scheme amounts to racial profiling that puts people in danger. Singh, through his lawyer, has filed a notice of application for judicial review of the practice, arguing the Toronto police services board and the Toronto police chief have violated his charter rights. "It's important because future youth, future citizens of this country and of this city should not live in fear that they have documents held on them against their will that are also inaccurate and dangerous to their safety," he said. "Carding is just the step that leads to other police abuses ... A simple 'hey what are you doing let me see some ID,' can turn into somebody being arbitrarily detained, arbitrarily searched and perhaps abused, assaulted and ending up with criminal charges." Singh's legal action asks an Ontario court for a declaration that Toronto police and the police services board are breaching his charter rights, asks that all personal information collected on him be "fully and permanently expunged" and asks for an order prohibiting police from carding him in the future. "The applicant is a proud Canadian citizen but the actions of Toronto Police officers in targeting him for the purpose of documenting him, due to his race, is an affront to his dignity and makes him feel like a second class citizen," it said. "Being carded, repeatedly, dehumanizes him, undermines his freedom and places him at increased risk of police violence." Singh's legal action was launched just days after Toronto Mayor John Tory said he wants to end carding in the city. Critics of the practice have said it tends to disproportionately affect young black men and has led to distrust of police. The practice was suspended in January by then Toronto police chief Bill Blair, but his successor Mark Saunders has defended carding as a valuable tool. In Singh's case, he alleges he was stopped by police due to "racial profiling." After filing a freedom of information request with police, Singh said he discovered police have erroneously labelled him as being from Jamaica and have even suggested there might be an immigration warrant out for him. He also said he discovered he had been labelled as being unco-operative with police. "I want all my documents purged," Singh said of the information collected on him through carding. "There's no way that I can travel throughout the city knowing that any time I'm stopped an officer will see this person is not police friendly ... it puts my life and my family's life in danger." Singh's application for judicial review notes that people targeted for carding are not legally obliged to co-operate with police, but alleged that the "practical reality"is that those who are carded do not typically feel free to refuse an officer's demands. "Carding has not occurred in a race-neutral manner," the application filed in court states. "The disproportionate targeting of young black and brown males is not justified, in whole or in part by any objective factors. Rather the disproportionality of black and brown males who have been carded reflects inherent and systemic racial bias." A spokeswoman with Toronto police said Singh's application for judicial review is being reviewed by the force's lawyers. None of the allegations in Singh's legal action have been proven in court.